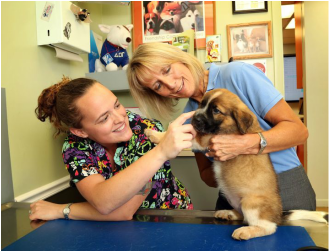 For over 20 years Dr.Michelle Durkee and her staff at West Palm Animal Clinic have taken care of all my critters. They are no-nonsense, kind & compassionate. I can not say enough about Dr. Durkee and her staff. On a rating system of 5 stars they get 10! If you need a vet you will not find anyone better to care for your fur babies! I highly recommend my friend and mentor, Bunmi Ajibade. She is an incredible woman with passion and a voice to help. Her Masterminds and Bootcamps will change your perspective and elevate you to another place, a better place. This is another of my amazing friends who has such a passion for helping. Check out her web site and classes. What she shares you do not learn in school,. It is the tools you truly need for life success.